Heb 11:24-26 By faith Moses, when he was come to years, refused to be called the son of Pharaoh’s daughter; (25) Choosing rather to suffer affliction with the people of God, than to enjoy the pleasures of sin for a season; (26) Esteeming the reproach of Christ greater riches than the treasures in Egypt: for he had respect unto the recompence of the reward. At the age of forty, Moses saw an Israelite being beaten brutally by his Egyptian overseer. Upon seeing this, Moses defended the life of his Israelite brother by killing his abusive Egyptian taskmaster. In this event in Moses’ life, we see him choosing to follow the calling of His Lord, to be deliverer of the children of Israel. He had chosen to stand with his Israelite brother instead of remaining in the good graces of His adoptive family. By turning against his adoptive Egyptian family and their kingdom, he was not only rejecting its benefits of wealth and great worldly authority, but was now inviting the kingdom’s wrath to fall upon him. What was his motivation to choose against the sinful pleasures of the Empire to become hated fugitive? It was his faith. He understood that to be obedient to his calling, and suffer affliction for the cause of Jehovah, would result in much greater rewards than the pleasures this world has to offer. The Lord has called each one of His people, out of a heart of appreciation, to be “living sacrifices” for His honor and glory (Rom 12:1). Are we willing to do as Moses of old and fulfill our divine calling at the risk of losing the world’s acceptance and offerings? By His grace alone, our faith will be strong and we will choose His will when faced with personal sacrifice for His glory. God is the subject of a multitude of poems that have been written throughout the ages. Mankind has tried to capture the person, works and thoughts of God through the use of the written verse, but to no avail. How can fallen, sinful mankind ever adequately understand, and then describe God? It is an impossible task. But did you know that God has personally written a poem that can be read by all mankind? The Bible tells us all about the poem that is written by the hand of God and meant exclusively for mankind. Eph 2:4-10 (KJV) 4) But God, who is rich in mercy, for his great love wherewith he loved us, 5) Even when we were dead in sins, hath quickened us together with Christ, (by grace ye are saved;) 6) And hath raised [us] up together, and made [us] sit together in heavenly [places] in Christ Jesus: 7) That in the ages to come he might shew the exceeding riches of his grace in [his] kindness toward us through Christ Jesus. 8) For by grace are ye saved through faith; and that not of yourselves: [it is] the gift of God: 9) Not of works, lest any man should boast. 10) For we are his workmanship, created in Christ Jesus unto good works, which God hath before ordained that we should walk in them. When we were spiritually dead, the Lord intervened in our life and gave us spiritual life. This spiritual life was undeserved by us. It was given to us as a free gift of God’s grace. When we were saved, our Lord raised us up together with Him to live a new life in Him. He also gave us an eternal inheritance that included an eternity with our Lord in heavenly place. Vs 7 – That in the ages to come he might shew the exceeding riches of his grace in [his] kindness toward us through Christ Jesus. One of the great reasons He saved us was to be “trophies of His grace”. After salvation, our lives have become living testimonies of His grace and kindness. When we deserved death, He gave us life. When we deserved punishment, He gave us forgiveness. When we deserved the lake of fire, He gave us an eternity with Him! Our changed life of fruit bearing shows this to others. The faith we exercised when He saved us is a gift that originated with God. He gave us faith so that we might place it in Him. Vs 9 – Not of works, lest any man should boast. The salvation He gave us was not deserved by us, nor could we perform any good works to gain it. We were given life and forgiveness not because of us… it was because of Him. After reading all of these verses about God’s grace in salvation, one big question stands out…. What can we ever do to show Him our appreciation for all He has done for us? He gave His all for us, when we did not deserve it… how can we say “thank you” ? We are His (workmanship) creation both physically and spiritually. He created us physically, and based on the above verses, it is clear that He created us spiritually as well. We are what we are because of Him. The basis of our salvation is the work of Christ on the cross. God wrote this “poem” based upon the shed blood of Jesus Christ. God saved us so that we might exhibit good works in our lives. These good works of speech, actions and fruits are seen by others, revealing God to all who contact us. God designed and prepared us to have good works beforehand. Before we could do these good works God had to intervene and prepare us beforehand. Our salvation was a part of the preparatory work that He did in our lives. God’s eternal plan for us was that we would be living witnesses of His grace and love. To bring this plan about He chose to save us, then He brought us to salvation and then equipped us through the indwelling Spirit to bear His fruit. Out of love and appreciation we are to bear fruit and reveal Him to others. Matt 11:28-30 (KJV) 28) Come unto me, all [ye] that labour and are heavy laden, and I will give you rest. 29) Take my yoke upon you, and learn of me; for I am meek and lowly in heart: and ye shall find rest unto your souls. 30) For my yoke [is] easy, and my burden is light. Won’t you come to Christ, humbly turning from your sins to Him. Trusting Him to intervene in your life, save you and enable you to live a life of service to Him? To Jacob, Isaac declared material, immaterial and spiritualblessings from God…. To Esau, Isaac declared material and immaterialblessings from God…. Let’s be sure we are doing our best to meet the future needs of our children. We can do this by a consistent preparation NOW for the upcoming generation of servants of our Lord. Heb 11:17-19 By faith Abraham, when he was tried, offered up Isaac: and he that had received the promises offered up his only begotten son, (18) Of whom it was said, That in Isaac shall thy seed be called: (19) Accounting that God was able to raise him up, even from the dead; from whence also he received him in a figure. The account of Abraham’s sacrifice of Isaac, his son, is found in Gen 22:1-19. Abraham’s faith in the promises of God was put to the test when he was called upon to sacrifice his son, Isaac. We had seen previously, that the conception and birth of Isaac was the result of a promise that God had given to Abraham and Sara (Heb 11:11-12). A part of the original promise given by God was… “thou shalt call his name Isaac: and I will establish my covenant with him for an everlasting covenant, [and] with his seed after him” Gen 17:19. God promised that Abraham would have a son (Isaac), and also, God promised that Isaac would have descendants who would inherit the promises of His covenant. In our Hebrews text, we read that Abraham’s faith was tried when he was called upon to offer up his son, Isaac. As a result of his faith, he was compliant to God’s wishes and was prepared to complete the sacrifice. What was his motivation to make this incredibly difficult decision? He knew God was faithful in keeping His promises and He had power over physical death. God has promised me that Isaac would have descendants. As of yet, Isaac has had no children. I know that God will not break His promise, therefore, God is not done with Isaac. If God is not done with Isaac, God will still fulfill His promise and use Isaac, even if I sacrifice him. Therefore, if I sacrifice Isaac, God (having all-power) will raise Isaac from the dead and use Isaac for His glory to fulfill His promises to me (Abraham). WHAT GREAT FAITH!!!! Abraham’s faith was blessed, as God supplied the ram as a replacement for Isaac. God received the ram as a “figure” (symbolic replacement) of Isaac. Would to God, when we are called upon to serve will remember His faithfulness to His promises and His all-mighty power to intervene and give us the victory. First of all, I apologize to all the bloggers who have nominated SIH blog for awards in the past few weeks. My schedule and responsibilities did not allow me to acknowledge your nominations until now. Thank you so much for your patience. Once again I apologize. 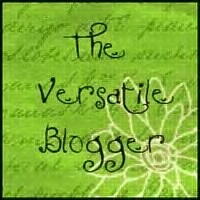 Terry at http://terry1954.wordpress.com/ – I have only started following Terry’s blog for a few weeks now, but I can truly say that her blog has touched my heart. She is an honest, kind lady who is sharing with us the blessings and hardships that she faces as a caregiver for her brother who is suffering from Parkinson’s Disease. Jelillie at http://jelillie.wordpress.com/ – Jelillie is a Husband, Father of 4 children and a Pastor. Pastor Jelillie blog contains wonderful teaching of Bible truth. One of his sections that is most enjoyable for me is his “Chapter Charts” postings that shares three main truths found in any given chapter in the Bible. Its interesting, and fun, to see what different main topics are found in each chapter by Pastor and his readers. Angela at http://meetingintheclouds.wordpress.com/. Angela has been a follower of my blog for quite sometime. I count her as a friend. She has been a tremendous source of encouragement for me as the SIH blog has progressed. Her blog is a great combination of spiritual truth, illustrations using common everyday events, and fantastic graphics (wish I had her artistic ability). I can truthfully say that I can recommend all three of these blogs for consistently encouraging and profitable reading. Jesus Christ is my Savior, Lord and Friend. If I am anything at all, it is entirely because of Him. Every morning I wake up, every breath that I take, every word that I write, every good deed that I might do… is totally by His gracious intervention in my life. Without Him, I would be nothing. We are privileged to share our house with our mother. Marie, Eva’s mother, my mother-in-law, is a tremendous blessing to me. She is a very sweet, kind lady that has tremendous entertainment value for the entire family. I’m sure glad she has a great sense of humor or I’d be in trouble right about now! My heart’s desire is to glorify God by helping Christians come to a better understanding of God’s Word. In our world today, especially in our nation, we have such a need for Biblical truth. It seems like in each generation that appears a bit more of the truth is lost. I love explaining God’s Word to others…. This is when I fill most fulfilled and spiritually useful. I love reading (the Bible and theology books). I love my dog “Zeek”. What a dog! I believe he is suffering from some type of mental illness but the vet doesn’t agree. You know, he seems kinda “dumb” at times. But I love him anyway! I love to tell jokes… only problem is I’m not very good at it! I love to watch a good movie or TV show and get lost in the plot. To Debbie at http://iftodaywehear.wordpress.com/ Debbie’s blog combines a Bible verse with a short explanation and a daily poem related to the Bible verse. I check it out every day for a source of encouragement during a break from my writing. To Jon at http://justificationbygrace.com/ Jon’s blog is a storehouse of Biblical truth from past spiritual men such as Spurgeon, M’Cheyne etc. as well as Jon’s own writings and audio messages. The Lord has blessed Jon with the truth of His Word. This is the most Scripturally sound blog I have found. To Tahlitha at http://justmyfaithtalking.wordpress.com/. Tahlitha’s blog combines Bible verses with everyday illustrations and applications for the Christian. I’ve found that her postings are an encouragement to anyone who is seeking to live their life in alignment with God’s Word. Tahlitha chooses subjects that are very applicable for today’s Christian living. 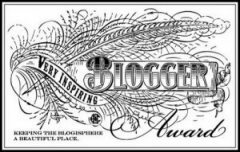 Once again, thank you so much to all who have nominated SIH, those who have been nominated and all the other bloggers who are such an inspiration to me. Lord bless you all! Heb 11:14-16 For they that say such things declare plainly that they seek a country. (15) And truly, if they had been mindful of that country from whence they came out, they might have had opportunity to have returned. (16) But now they desire a better country, that is, an heavenly: wherefore God is not ashamed to be called their God: for he hath prepared for them a city. In our text, we read that those of faith, “declare plainly” that they seek a country. The meaning of the phrase “to declare plainly” is the idea “to put on exhibit, to uncover, or to reveal publically”. These Godly men and women did not live their lives for the accumulation of the wealth, comfort and fame that this world has to offer. They knew a “better country awaited them”. But their testimony did not stop there. Through their actions and voices they “put on exhibit” to everyone that they were on a pilgrimage. Their travels were taking them THROUGH this fallen world and TO another world yet to come. Are we living our lives as if we are on a pilgrimage through this world? If so, are we verbally explaining to others our motivation, the “great hope” that we possess of eternity with Him? Until the day of their death, they exercised their faith in the Lord. While serving on earth, they did not experience their promised eternal blessings. Persuaded of them – They became convinced they would receive them. In their minds, the future blessings of God were not a “possibility”, they had become a certainty… it was only a matter of time. Embraced them – Once convinced of their receipt, these promises became a part of their very existence. They “hugged” the promises bringing them to themselves and making them a part of their day to day walk with Him. Have we ever trusted in Christ as our Savior? In doing so, we have become a part of His family and joint heirs of a wonderful eternity with Him in heaven. If Christ is our Savior, do we simply have a “head-knowledge” of the wonderful eternity that we may enjoy someday? Or, has the Lord graced us with a certainty that we will receive His promises without doubt? If we have this certainty within us, have we really embraced this truth and made it a part of our day to day walk with Him? If so, the truth of our coming eternity will affect EVERY decision we will make in this land through which we are passing through! Materialism seems to be running rampant in our society. Some say that materialism is the “engine” that drives our economic system. Others would say that an insatiable desire for wealth is playing a huge part in the economic ills that our society is now facing. Should a Christian embrace or reject materialism? The Apostle Paul addresses this subject in Phil 4:10-13 & 1 Tim 6:6-12. Let’s see what he had to say about it…. 11) Not that I speak in respect of want: for I have learned, in whatsoever state I am, [therewith] to be content. 7) For we brought nothing into [this] world, [and it is] certain we can carry nothing out. 9) But they that will be rich fall into temptation and a snare, and [into] many foolish and hurtful lusts, which drown men in destruction and perdition. 11) But thou, O man of God, flee these things; and follow after righteousness, godliness, faith, love, patience, meekness. 12) Fight the good fight of faith, lay hold on eternal life, whereunto thou art also called, and hast professed a good profession before many witnesses. In our text, Phil 4:10-13, we find the proper Christian attitude toward the riches of this world. The Apostle Paul was writing from a prison cell, having been arrested by the Roman government opposed to his preaching of the gospel message. During his stay in prison, Paul’s needs were supplied through the love offerings from various churches. The church at Philippi was one of Paul’s supporting churches. For a period of time, the Philippi love offerings had ceased, and then began once again. Paul understood that the church had always cared for him, but, at times were unable to send him offerings. It was during these “lean” times that Paul had learned a very important lesson. It was in this context, that Paul began instructions concerning the need to be content with what we have. In Paul’s life he knew how to be humbled and to be overflowing. In every area of life, Paul had experienced fullness and satisfaction as well lack and hunger. Yet in all these conditions, Paul knew he needed to be content. He viewed each situation with the attitude…. it is enough. How could Paul ever say that when hungry… it is enough? How could he possible look at times of lack as “I am content”? It was only through the strength that Christ had given to him. This verse is a very well-known and highly quoted verse. Let me quickly say that I do believe through Christ we can do all things… there is no limit to what we can accomplish with Christ’s enabling. However, clearly in the context of this verse. By “all things” Paul is describing all types of conditions of want and need. What he is saying, contextually, is that he can be content in any area, through the strengthening of Christ. Paul understood that a Christian will greatly profit if a their life is a testimony for Christ and they are content with that Godliness. In other words, being content with a Godly life is having our priorities straight. Living a godly life for Him is what is important. The material possessions of this world have no lasting value. Their only value is of an earthly nature. But living a life for Christ has eternal value. We need to be content with the blessings of food and raiment. This is all we need to live a Godly life… we need nothing else. Those who have an overflowing of possessions are open to sinful opportunities and traps. They have more occasion to fulfill sinful lusts of their flesh. It is these lusts that can overcome men causing them to perish or ruin their lives. Increased wealth demands increased self-control and increased submission to the will of Christ. Once again sinful desires are in view. When a Christian places their heart on selfish gain, all types of sin will take place. Love and selfishness are two exact opposites. Selfishness for the Christian. results in a departure from the teachings of the Lord and brings upon themselves remorse for their sin and wasted life. fight the good fight of faith – fight the Godly war against the powers of darkness in this world. lay hold of eternal life – Assure ourselves of the truth that eternal life awaits us. Then serve Him now realizing the temporal things of this world are of little value, but the spiritual things are eternal! whereunto thou art also called and hast professed a good profession… – live like we are called to eternal life. Live a Godly life and declare to others the Lord that we serve. For those who have yet to be saved..
That which is of most value cannot be purchased nor gained through the work of our hands. It is a free gift coming from a gracious Almighty God. By coming to Him, willing to leave your sin and selfishness behind, you too can receive this gift. Heb 11:8-10 By faith Abraham, when he was called to go out into a place which he should after receive for an inheritance, obeyed; and he went out, not knowing whither he went. (9) By faith he sojourned in the land of promise, as in a strange country, dwelling in tabernacles with Isaac and Jacob, the heirs with him of the same promise: (10) For he looked for a city which hath foundations, whose builder and maker is God. The events in the life of Abraham are recorded in Gen 11:27 – 25:8. God’s initial call for Abraham to leave his homeland, and the blessings that would result, are found in Genesis 12:1-5. “For he looked for a city which hath foundations, whose builder and maker is God.” (see also Heb 11:13-16). Is the Lord burdening our heart about making a great temporal sacrifice for Him? Is He asking us to give up something in this world, so that we might be of greater heavenly service to Him? If so, let’s keep our eyes on our heavenly home and the eternal blessings that await us. There is nothing on earth that can begin to compare to the value of knowing we are pleasing our Lord and will spend eternity with Him someday. The account of the life of Noah is found in Genesis chapters 6 through 9. Based upon the wickedness that had engulfed the earth, the Lord had chosen to bring judgment upon mankind through a world-wide flood. Up to this point in time in history, it had never even rained. God had sent water to feed the crops by sending dew upon the earth (Gen 2:6). How difficult it would be for anyone to understand what “rain” or a “flood” would be like! However, God, solely by His grace (Gen 6:8), warned Noah of the upcoming flood and instructed him on the way to safety… the building of an arc. If Noah, through God’s gracious intervention, believed God’s message and followed God’s instructions, he would be able to save his family, and himself. If, in a spirit of unbelief, Noah mocked God’s warnings and rejected God’s instructions; death would come upon him and his family, just as the other unbelievers of his day. In our text, we are told that Noah responded in a spirit of reverence and respect (fear) for God and His Word, accepting it by faith. This reverence and respect motivated Him to believe the flood was coming and prepare for it just as God directed him. His faithfulness resulted in bringing salvation to himself, and his family. This salvation was not limited to salvation from the waters of the flood, but also salvation from their sins. Noah’s acts of belief and preparation of the ark had three results. They condemned the unbelieving world, giving them a visual testimony of faith, and how to prepare for the coming judgment. It also was his God-given faith in the Lord and His Word that worked his salvation and righteousness. And it was also through his faithful actions, his family came to a trust in God as well. When God graciously works in our life, calling us to trust in Him and His Word… let’s rely on Him for grace and take that step of faith. In doing so, we will be setting an example that will glorify God in the eyes of all who see us, encourage other believers, and set the example for lost loved ones to trust in Him as well. Ps 86:5 – For thou, Lord, [art] good, and ready to forgive; and plenteous in mercy unto all them that call upon thee. One of the many attributes of our Lord that sets Him apart from all others is His willingness to forgive those who have sinned against Him. Not only is He just and righteous, but He is also a Lord who has supplied the payment needed to deliver His people from their sins. Let’s take a few moments to study our Lord’s willingness to forgive our many sins. Psalm 86:5 – For thou, Lord, [art] good, and ready to forgive; and plenteous in mercy unto all them that call upon thee. To whom does the Lord grant this mercy, grace and forgiveness?… Our text tells us it is to “all them who call upon thee”. First of all, it tells us we must recognize the true Lord and Savior. It is not enough for someone to come to “God” or to ask forgiveness of a nebulous being. We must recognize that a personal God does exist, He holds authority over us, and that He has promised to save us if we come to Him. (Hebs 11:6). We must recognize that the Lord Jesus Christ is the Savior of the world and come to Him personally. (Acts 4:10-12, Matt 1:21, John 3:36, John 14:6, 1 Tim 2:5-6). To deny that the Lord Jesus is the ONLY Savior of the world is to deny the clear declaration of Scripture. Secondly, to call upon Him teaches us that we must willfully turn from our sins and be willing to forsake our sins to obey Him. This is the message of God’s forgiveness for our sins… this is the only way to receive divine forgiveness of our sins. May the Lord Jesus be glorified in this posting. Heb 11: – Enoch lived a life pleasing to God. He affected others around him by this faithful testimony. Jude 1: – How did he please the Lord? We are told that he delivered prophecies concerning the Lord’s 2nd coming in the last days. Gen 5: – He “walked with God”. By this, we know that Enoch had a close relationship centered on communion with the Lord. God took Enoch immediately from earth to heaven without Enoch experiencing physical death. Since he did not experience death, we can assume that Enoch’s soul did not leave his body. Apparently, when God “took” him, He took both his soul and his body. If this is the case, then his body was glorified allowing it to enter into heaven in a sinless condition. (If we remember, this same type of event happened one other time in history when Elijah was glorified and taken to heaven without experiencing death – 2 Kings 2:11). The account of Abel’s and Cain’s offerings can be found in Genesis 4:1-10. Abel’s sacrifice was a lamb of his flock, while Cain’s sacrifice was that of the crops which he had grown. Both were valuable personal possessions. Both were the result of physical labor of the offering’s giver. Both were given to the Lord. Why was Abel’s sacrifice “more excellent” than Cain’s sacrifice? According to our Hebrews verse, it was because Abel offered the sacrifice “by faith”. During the sacrifice, as the lamb’s blood was being shed, Abel believed that the Messiah would come and be a sacrifice for the forgiveness of sin (see Heb 12:24). In other words, this sacrifice was a display of Abel’s faith. This same sacrifice declared that Abel had been given righteousness (given to him by God’s grace through faith). By accepting Abel’s offering, God was publically testifying that Abel had received the saving gifts of faith and righteousness. Although murdered by his brother, Abel’s testimony is still spoken of throughout the ages. How can this be? The public testimony of Abel’s faith was recorded in God’s Word. It is this same Word that is still being read and taught 6000 years later. Our public testimony, when mixed with faith, is pleasing to God and profitable for man. It has lasting, eternal value. Little did Abel know that one simple sacrifice would result in an ageless example of saving faith and obedience to the Lord; so, too, our testimony of faith. We never know how the Lord may choose to use our testimony in His sovereign plan to redeem mankind from their sin.